Places to see near Deul Park: The thick Garh forest in Durgapur presents a perfect backdrop for the winding Ajoy River, offering a visual splendor to the tourists. The area is also frequented by herds of elephants from Birbhum located nearby. The site of Kenduli Mela where hundreds of Bauls visit during the fair is situated on the opposite side of the river. 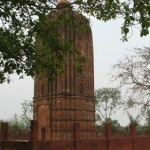 Kenduli is the birthplace of the famous poet Jaidev and home to a number of age-old terracotta temples of Radha Madhav. 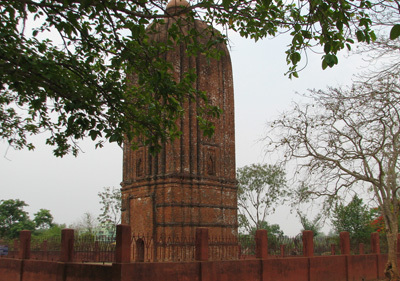 You can also explore the Garh jungle and the historical site, where Icchai Ghosh was defeated in a war by Lausen. A visit to a huge tower made from bricks and a dilapidated temple will add a hint of adventure to your trip. Nearby attractions of Deul Park: From Deul Park, you can visit the nearby DVC Barrage at Durgapur or take a tour in Bardhaman. You can also reach Shantiniketan, Bhalki Machan, Bolpur within a couple of hours from Deul Park by car. Things to do at Deul Park: You can spot out clusters of folk singers along the riverbank of Ajoy where you can spend some of your leisure time savoring their soulful songs. Enjoy a unique experience walking along the Garh Forest and discovering the ruins of age old temples. Your kids can enjoy a few rides within the resorts laws and fun parks. You van laze in the resort’s lawns, enjoy angling and spend some leisure time along the river. How to reach Deul Park: The journey to Deul Park is not at all difficult. Take any Express bus from Kolkata heading to Durgapur following the Expressway and drop down at the Darjeeling stop located in Panagarh. From there, by travelling any bus going to Shiuri, reach a place called Choddo Mile, which is located at a distance of 9 km from Deul Park. You can easily cover this distance by a van or a rickshaw. You can also avail a direct bus from Kolkata to Shiuri. You can also make a prior arrangement with the resort for a car, which will pick you from Durgapur or Darjeeling more to Deul Park. Best time to visit Deul Park: Deul Park is suitable to visit all the year round, though it is better to avoid the monsoon. Lodging facilities at Deul Park: A tourist resort offers decent accommodation here. Dining: Nice meals are available in the guesthouse.